Rehabiliation is not always the most liked department in a skilled nursing environment/nursing home but, most times, it is the entire reason you admit yourself or your loved one into an instutionalized setting! Like it or not, rehab is an important part of recovery and many times it is highly recommended by doctors/surgeans. Necessity does not equate to a good reputation, however. 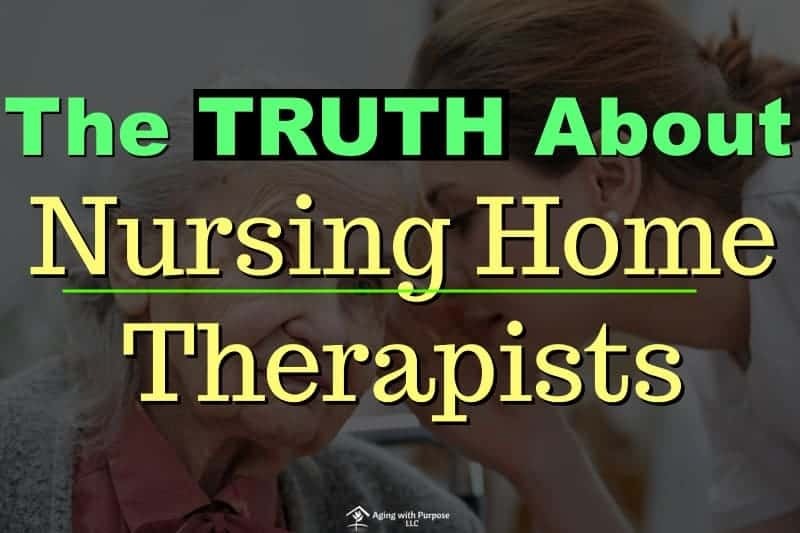 If you are reading this, odds are you have been influenced by a nursing home therapists in some way–whether it was a good experience or a bad experience is yet to be told. All I ask is that before you finalize your judgements, read the truth about your nursing home therapist! 1. 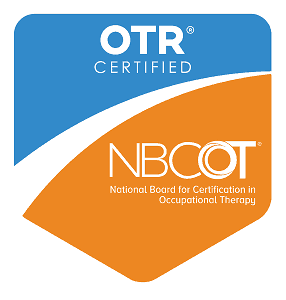 Your OT genuinly cares about you, your pain, and helping you achieve your goals! 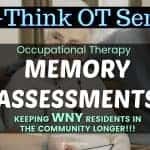 When you arrive to the nursing home or skilled nursing facility, you will almost always be evaluated by occupational therapy and physical therapy to determine your functional baselines. Your OT and PT understand that you are entering the facility after hospitlization or drastic deconditioning and you are tired and in pain! The biggest thing, or person, on your therapists’ minds is you! 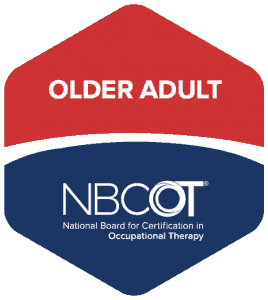 Because the scope of practice for an occupational therapist is so large, he/she can choose to work with just about every age group in just about any sector of the medical industry, but he/she chose to work in this industry to service older adults and work to improve their quality of life dispite surgeries, sickness, illness, and or general decline. Sometimes, it may appear that your therapist is ‘pushy’ or ‘unaware’ of what you are feeling. 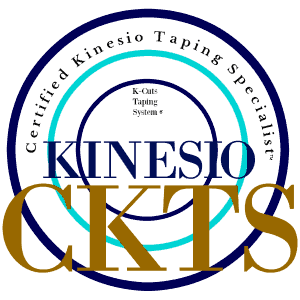 Please know that therapists are trained to know how muscles/bones/nerves/organs work within the movement, exercises, and/or tasks they are asking you to do…but it is the foundation of the rehabiliation framework to be client centered. This means that you have a place in the treatment process and you have a voice. Maybe you feel silenced in the medical process, but it should never be the case during the course of rehabiliation. Therapists want to educate you regarding what is going on, what is being treated, and why you are being asked to do something. 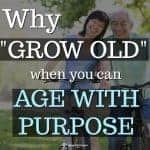 Furthermore, it is the therapist’s job to ensure you maximize your quality of life even while you are living within a nursing home setting or short term subacute setting. If something is difficult, painful, or causing emotional distress, your therapist is trained to listen, act, and advocate on your behalf! 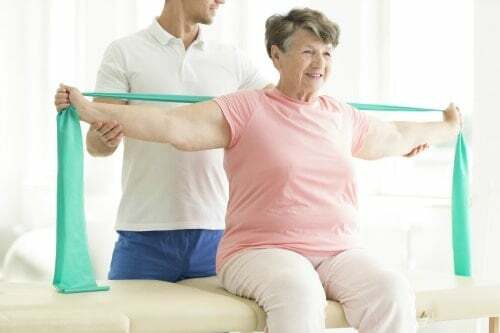 Yes, nursing home therapists genuinly want to help you acheive your goals in whatever way they can throughout the entire rehabiliation process–emotional, mental, spiritual, physical, and even sexual education if applicable. 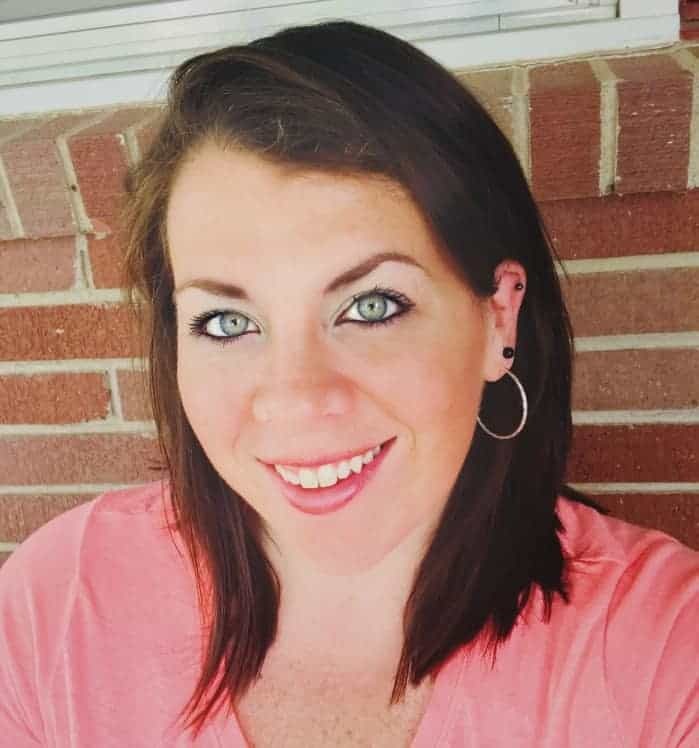 Establish an open communication style with your therapist to maximize your happiness during the rehabiliation process in the nursing home/skilled nursing facility! Your therapist want you to be active part in the equation—especially if you don’t like something! 2. Your OT wishes there were more options to approach rehabiliation! 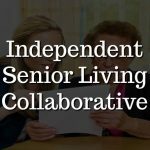 I can’t tell you how many times I have seen, and even personally set up the an activity using cones, rings, or pegs in the clinic of a skilled nursing facility. Equally so, I can’t tell you how many times I have heard someone question: “What is the point of this? I feel like I’m back in kindergarten.” These words are probably among the top 5 most discouraging phrase an occupational therapist can hear because we get it. Your therapists know where you are coming from and why it may appear juvenile. One of the skillsets we acquire through our education and clinical practicums is activity analysis and creating a simulated environment to re-create the same movements you would be using during a ‘real life’ activity. How would your shoulder move? How high would you need to lift your arms? Would you need to repeat these movements? What type of finger movement and hand strength do you need? Do you need to be able to grasp an item while moving your arm? These are all thoughts considered before setting you up with ‘rings’ or ‘cones’. 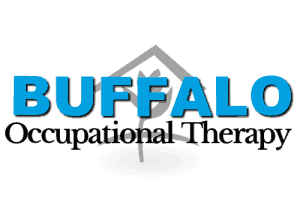 In an ideal world, your occupational therapist would not need to simulate movements by using balls, rings, pegs, and putty. Unfortunately, most skilled nursing facilities lack opportunity, space, time, and the resources necessary to engage in real life rehabilitation scenarios. The caseloads are so large and demands so great that every therapist must work to expedite the rehabiliaton process with the tools and time they are given. 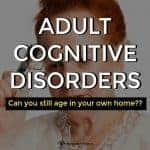 So, the next time you or your loved one is in rehab and you wonder why you are playing with putty, moving/placing rings and cones, or being asked to fold laundry, but you have no idea why – ask! Occupational therapists and assistants always have a method in the madness and can give you the muscle, movement and rationale for the task you are doing! If you still aren’t convinced, feel free to ask your OT to change it up!! 3. Your OT genuinly wishes insurance did not dictate the stopwatch! 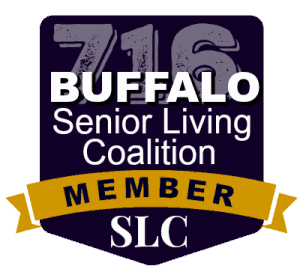 This is the most unfortunate aspect about nursing home rehabilitation and it is the reason many nursing home therapists leave the industry. The SECRET IS OUT! 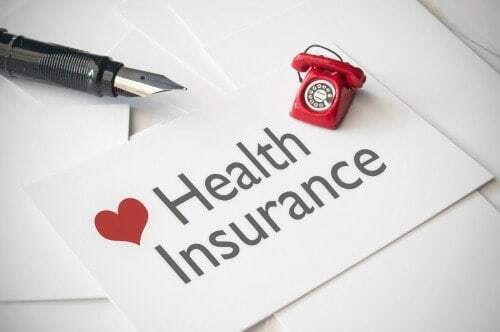 Your insurance and Medicare have a lot of power in your rehabiliation process- it is the method by which everything is paid. If therapy can not justify your stay by way of functional improvements, and you do not need a high level of care- many times you will not be covered to stay in a sub-acute environment without paying privately. Every insurance is different and demands different therapy approaches in order to issue reimbursement. 30, 45, 60, sometimes 75 minute treatments, 5-7 days a week- clock work. Therapists understand what you may be feeling. It is hard on many levels. Sometimes therapists are asked to see patients several times a day it physically, emotionally, and mentally exhausting for all parties! The most important thing to remember is that you are the person needing rehabilation. You control the minutes. You control the time. Nobody can foce you to do therapy and as long as you are making improvements, even at a low treatment time – that may be enough to justify your stay. No insurance company, nor medicare, nor medicaid requries you to be seen for 60-75 minute treatments or you will be kicked out. If you feel exhausted or are being pushed too hard, advocate for yourself! Speak up and allow your occupational therapist to advocate for you! You are not alone!